Time Crimes is one of my favorite movies in the past ten years. It manages to tell a story with huge consequences, yet remain intimately focused on just a few characters. This kind of juxtaposition between the grandiose(time travel) and the intimate( a man running from a pursuer.) is played again here in his latest film. 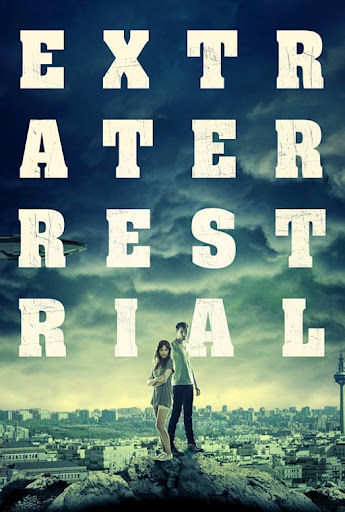 Extraterrestrial tells the story of Julio and Julia waking up after a night of serious partying, only to find out giant space ships have invaded the city. They don't know each other and we soon find out Julia has a boyfriend with a serious hero complex. The film is an amazing balance of comedy played against themes of paranoia and what it means to be an "alien" in the metaphorical sense. It's a wonderfully charming film and Vigalondo continues to be one of my favorite directors working . With a much lighter tone, he shows that he is far from a one trick pony, mastering romantic comedy and mixing in some science fiction for good measure he creates a layered film that is enjoyable from start to finish. 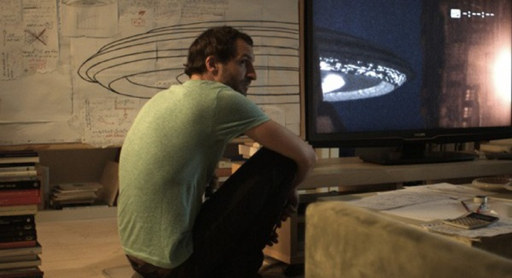 The theme of invasion is woven throughout the film. The aliens are here yes, but if you're expecting to see these people pull together a rag tag group of people ready to stand up, well this isn't that movie. 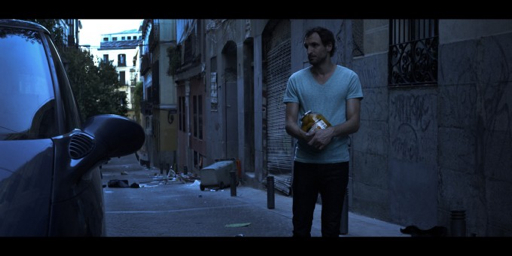 Julio represents the chaos that occurs when an unknown force invades ones life, he is the true alien in the film. He comes in and literally turns Julia's life upside down. He exposes just how crazy their neighbor Angel is, played wonderfully by Carlos Areces. Angel is the nosy neighbor obsessed with Julia, and what Julio does to him in the means of self preservation is hilarious and dark all at once. This is such a unique film and fits perfectly with how unique Time Crimes was. This is a great film and I urge you all to seek this out. 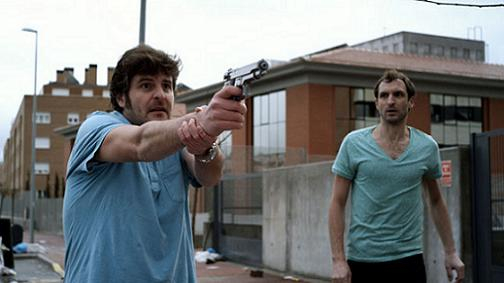 Vigalondo was a great discovery for me, and I'm happy to share with you all how awesome a filmmaker he is. So please go check it out, then come back here and let me know what you think. One last thought - the whole time I kept thinking this is pretty close to the setup for Skyline, was Vigalondo just trying to show them how to properly shoot this movie?